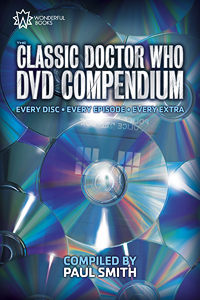 The Classic Doctor Who DVD Compendium – the complete guide to every release from the original series – is published next Monday, 4 August 2014. Sadly Amazon doesn’t seem to offer pre-orders on print-on-demand books, but it’s all ready to go so should be up for order promptly on the 4th. It’ll be available from Amazon UK here for £16.99 and Amazon US here for $30.99 (less any discount Amazon chooses to apply). It should also be available as an ebook on Kindle and via Smashwords (and the retailers it supplies). I’m still going through the slightly tedious approval process for the e-edition but am hoping to have it sorted ready for next Monday, or shortly after. 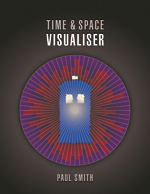 On Smashwords it’s priced at $15.99, and should be £8.99 once it’s on the Kindle Store. Note that the ebook version doesn’t quite include all the content of the print edition. All the entries for the DVDs themselves are there in full, but there are a couple of tables that I had to omit as ebooks can’t do tables, and a couple of the indexes which were redundant as you can search in the ebook instead. In my, humble, opinion the printed book is much nicer and easier to flick through to find entries and look up extras. But the ebook has the same functionality, with links throughout and a complete table of contents. 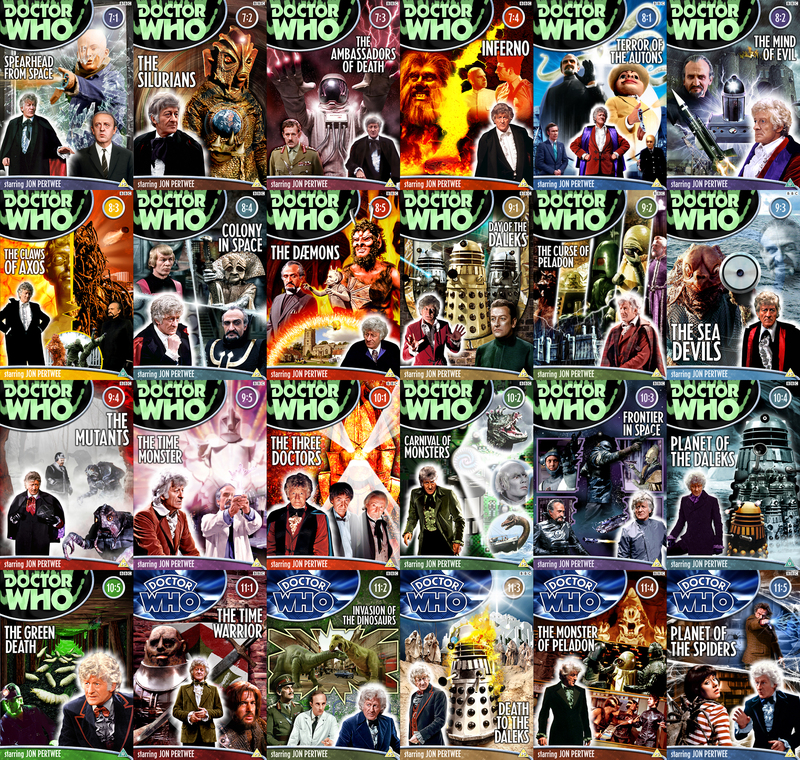 I haven’t forgotten about the few outstanding DVD covers I need to do and will get to them eventually, but I’ve been busy over the last six months compiling my new book, THE CLASSIC DOCTOR WHO DVD COMPENDIUM. This 440-page book (it’s an inch thick!) 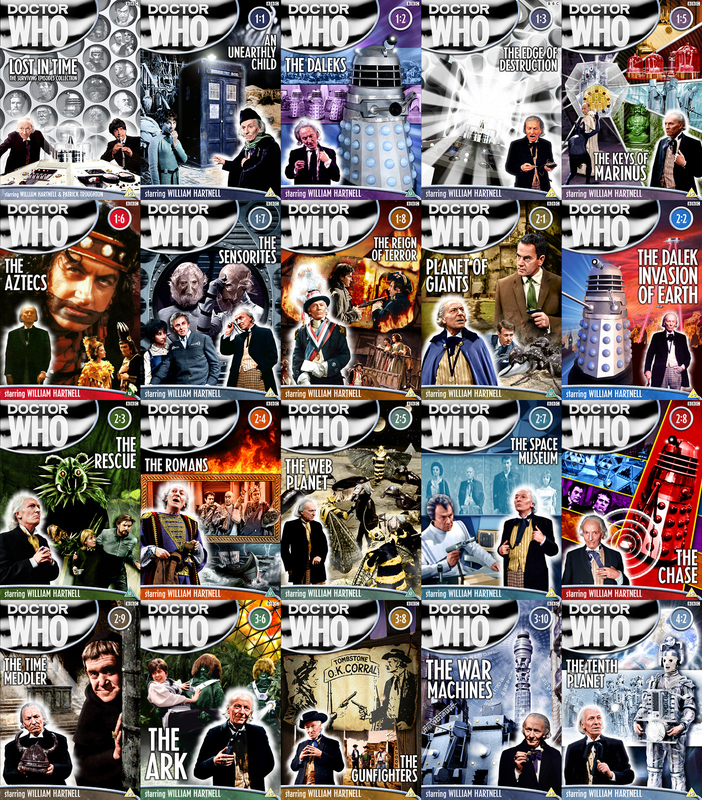 is the complete guide to the Classic Who DVD range, with all the information you need whether you’re still collecting or already have the full set. 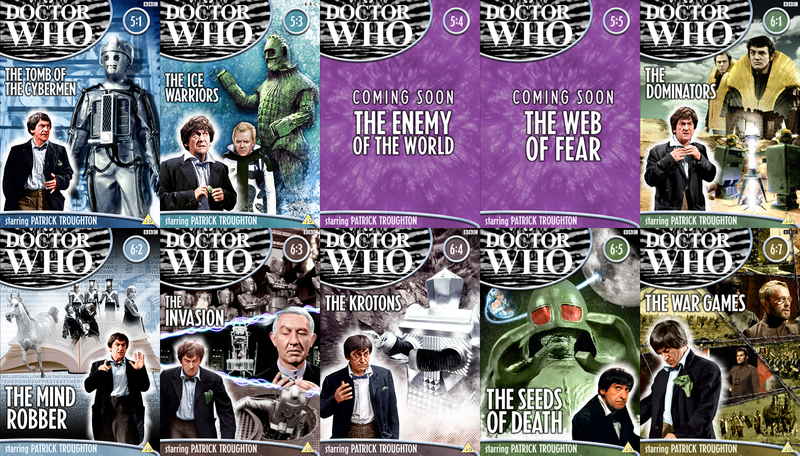 There are details of the discs’ releases, summaries of the stories and the restoration they’ve undergone for DVD, connections to other stories to help you discover similar adventures to those you love, and a comprehensive catalogue of every single extra on every single disc. Plus five appendices covering additional releases in the range, a full list of easter eggs and how to find them, release details for regions 2 and 4, and more. As well as six indexes of various aspects to help you instantly find any item on the discs you want to watch. The release of Classic Who on DVD is probably the most comprehensive presentation of a television programme ever produced, and The Classic Doctor Who DVD Compendium is the ultimate companion to the complete range. Whether you’re diligently collecting every story or just picking from the eras you love, I hope you’ll consider buying the book, and maybe discover some fantastic content you missed. I’m aiming to publish the book on 4 August 2014. It’ll be available in print through Amazon (print on demand), provisionally priced at £16.99/$30.99, and also as an ebook, details to be confirmed. Keep an eye on wonderfulbook.co.uk for samples, reviews and ordering details.